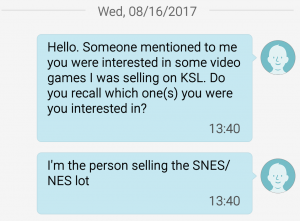 Last summer, I tried to sell some old Nintendo games on KSL Classifieds (Salt Lake City’s more popular Craigslist alternative). A few hours after posting, I received a text message. 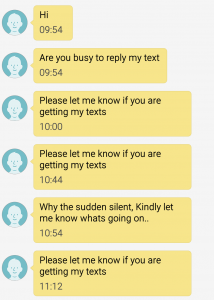 Seemed normal, so I reached out to this individual’s “brother” to see if he was interested. He said kindly. Note to scammers…no one uses the word kindly except for you. It’s a dead giveaway. “Kindly” is to scammer as “meddling” is to Scooby-Doo villain. I could have ceased all communications by this point, but I wanted to press further. 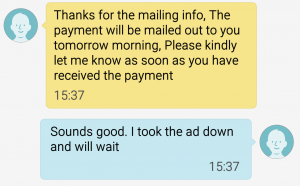 I wanted to understand where this scam would go. 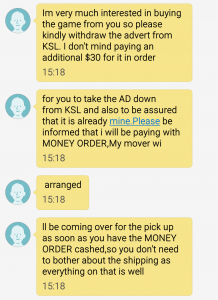 So… I take down my ad and this person will pay me with a money order + extra and his “mover” will come over to pick up the item. I’m super curious to see where this goes so I go along with it. Seller agrees. Takes down ad and awaits instructions. 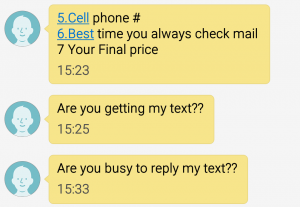 Scammer provides details of a money order that will arrive in the mail for the price of the item + extra money. Scammer probably will instruct seller to cash this money order and inform scammer when that is done. 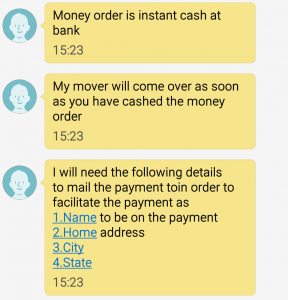 Once money order is deposited, scammer dispatches “mover” to pick up the item from seller. Several days later, the seller will learn that the deposited money order was fraudulent. This leaves seller with no item, no payment, and fees from the bank for the deposit of a bad check. 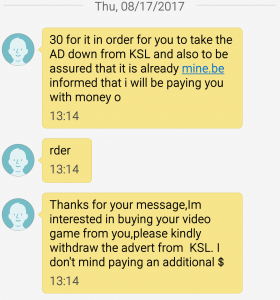 And I guess the scammer gets my Nintendo games? Anyway…I have no intention of giving my item up to the scammer, nor am I interested in seeing this “mover” in person. …but I kind of want a souvenir from this. I mess with them a little more and then send them a fake name but a real mailing address so I can see this money order. 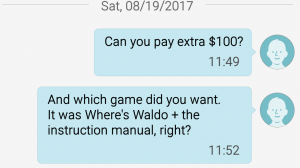 I also mess with them a little bit by changing the item i’m selling to see if they’re even paying attention. The next day, I received a huge batch of texts informing me that his father unexpectedly passed away. 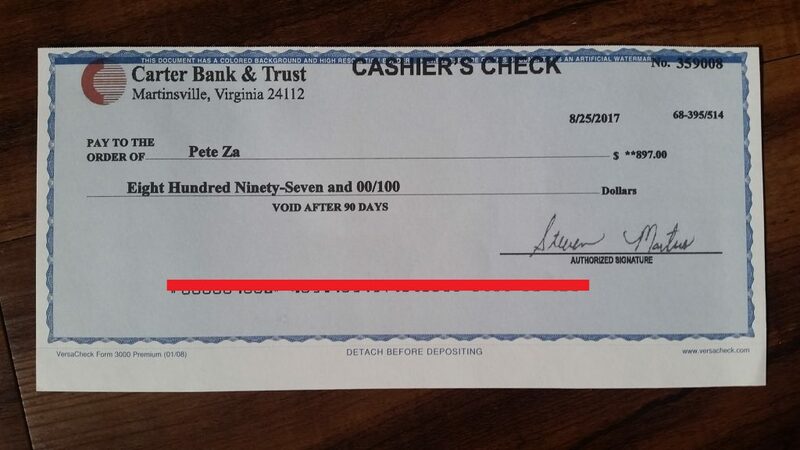 In all of the confusion, the secretary accidentally mailed out a money order for too high of an amount–about $900. I’m instructed to deposit the money order when I receive it, withdraw the accidental overage, and give that cash along with the video game to the “mover”. Now I see where this scam becomes much more lucrative for the scammer. 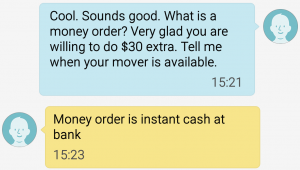 It’s not just that they get away with the item i’m selling…but that they also instruct me to pull out a larger sum of cash to return to the “mover”. I didn’t bother posting the rest of the screenshots of the conversation–its mostly details about the confusion caused by the father’s death, more instructions, and pleas to continue moving forward with the transaction. It ends after a few hours of ceasing communication. Since this scam utilized the US Postal Service, I was able to report it (along with the tracking info and origin address) for fraud investigation. 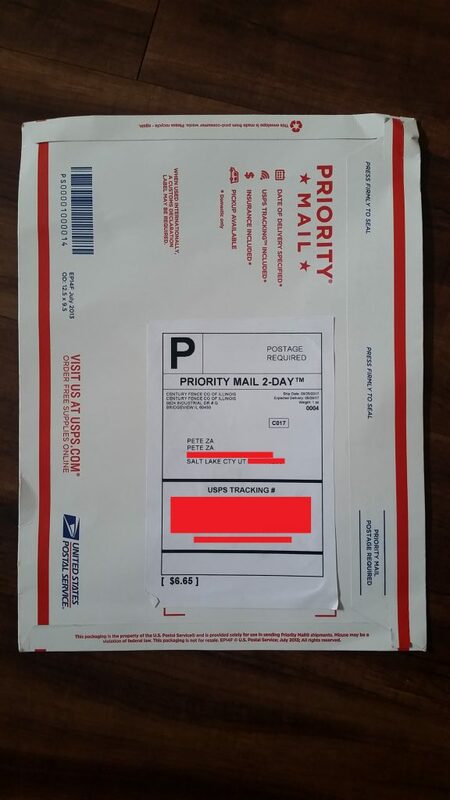 Slim-to-zero chance that anyone got caught, but I was able to document the steps of the scam to USPS. Hopefully, that information got used to better train people on how to avoid this particular scam.